Real estate drip email is one of the most important tools used in converting web site visitors to clients and commissions. If you're looking for a drip email service provider, or software for your real estate business, be sure that you know what the product or service offers. Be sure that you know what you need. There are two different approaches to drip email out there, and you need to select the one that will accomplish your goals. 1. The system or service allows you to prepare a series of emails in advance, schedule the times between emails before they are sent, and apply that email "campaign" to an email address list. The emails will then go out at the scheduled times automatically without your continued involvement. This first scenario does not allow for a new contact or prospect to be added in the middle of the campaign and receive the entire group of emails. In other words, if you add a new person to the list after email #2 is sent, they will then receive only emails #3 and later. 2. The second type of system or service does all of the above but also allows the new contact or prospect to enter the system at any time and receive the entire series of emails from the beginning, on the schedule you set up. If you have six emails going out with one week between each, the new prospect can enter the system at any time and will receive all six in order as planned. 3. You can also just target a single automatic response using free Gmail. 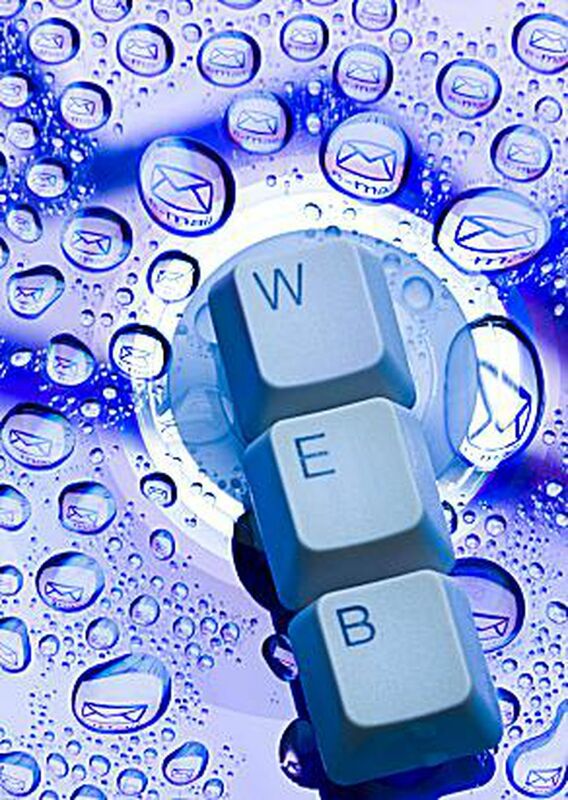 Write meaningful and informative emails for your drip campaigns. Most all of the drip email services and software packages out there developed for the real estate business have a group of canned emails that allow you to get set up and running quickly. This appeals to many, as the goal is to get the system operating quickly to generate business. Don't use these generic messages any longer than absolutely necessary. Develop your own unique and informative emails. Point out other areas of your web site that the recipient might find useful. Promote your services and things that differentiate you as a real estate agent or broker. If you have a blog, make it the subject of one email in the series to generate traffic and subscribers. If you have special reports offered on your site that require sign-up for receipt, you can send links to them in your email campaign, as you've already gotten their contact information from them. Keep the campaigns short and the email frequency spread out. You'll find many different opinions and systems out there. The effective broker that we know who makes 100% of his personal commission income from his web site doesn't send a huge number of emails and keeps them spread out a bit. We'll show you how to keep up email contact long-term with your prospect and client base, but what you want to do first is to capture that initial site visitor and work them through a process that will not lose them due to too many or too frequent emails. Our effective broker sends no more than four or five, and spreads them out over a couple of months or more. As an example, he has two campaigns, one for buyers and one for sellers. Depending on what their initial web form is, they are entered into one of these campaigns. The first email goes out immediately, with the second out about a week later, the third almost two weeks after that, etc. This results in the full four or five email campaign taking two months or more to complete. Tell them how long and how many drip emails you're sending. You will decrease the number of prospects who ask to be removed from your list if you'll tell them what's happening. Think of it from their point of view. They come to your site, request a special report or sign up on your guest list. Immediately they recieve the automated #1 email in your campaign. Then a few days later they receive email #2. There are those that will be thinking "Geez, this agent is going to bombard me with emails for the next year!" Remember that the internet has lengthened the process, with real estate shoppers beginning their search much longer before their actual planned transaction. Just by telling them what's going on, you'll definitely decrease the number of people requesting to be removed from your list. A sample statement in the first email would be: "Thanks for visiting my site and requesting the xxxxx report. You might want to also check out the area real estate maps at this link to become more familiar with where properties are located. This is the first in a series of four emails over the next couple of months, each highlighting information our visitors have found valuable." Then in each email after that, make sure that you tell them that it is the #th email in the series of four. At the end, thank them again and tell them that you'll be sending them three or four informative emails each year (see the next step). Keep those prospects until they are ready to act with a long-term email plan. Okay, you've sent your focused set of four or five emails over a two or three month period....now what? The key to keeping these prospects loyal to you for the time required to get them to a transaction is to provide them with information they value in a balanced and not intrusive way. A very effective plan is to provide property sold statistics on a quarterly basis to your entire list, prospects and past clients. They value this information and you'll get thank-you notes from many of them. Most MLS systems have reporting capability that will produce quarterly sold property numbers. Convert this into a .pdf or other format and attach them to the email or post them on a ​web site and send a link. Real experience of one broker with a 1000+ list shows only two or three opt-out requests per quarterly email. That's indicative of an effective prospect retention campaign. Removing a prospect from your email list. This is simple. You NEVER remove a prospect from your list unless they ask to be removed or their email address is no longer valid. If they become a client, you just change their status, but keep them on the list for the quarterly statistical emails. You'll find your past clients greatly appreciate these reports. Even if their interest has waned, the fact that they haven't asked to be removed indicates that they still want the information you're providing. Some will also forward the info to others and you could pick up clients over the long haul this way. Drip email will convert prospects.